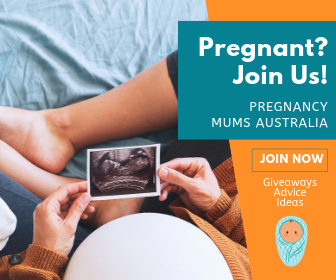 Stretching stomach syndrome – just another awesome thing about pregnancy and postpartum that no one likes to talk about or share on social media. One brave AF mum has gone where most new (non-celebrity, non-spanx-wearing) mums dare never to go – to the realm of Instagram. 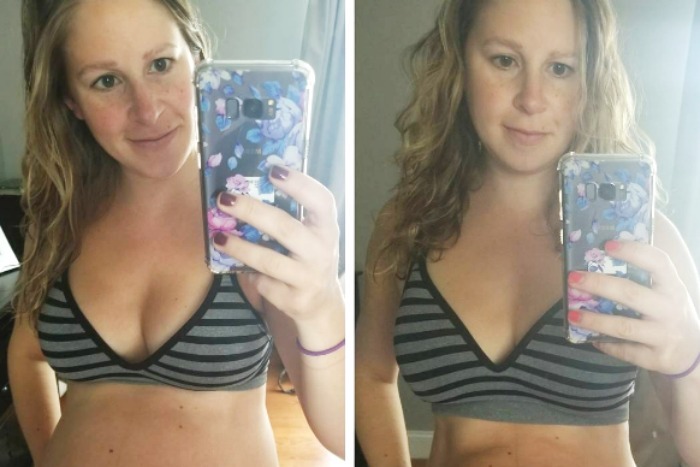 Armed with nothing but her phone and a bra, US mum Kristen Sullivan shares a photo of her stomach before and after pregnancy. On the left is Kristen three days before she delivered her second child, Gavin. On the right she stands three weeks post-partum. Same phone, similar pose, same bra, even. The only thing that drastically changes from the first to the second picture is the massive baby living inside her uterus. The side-by-side selfies showcase just how much a woman’s stomach endures during pregnancy and prove that mums really do possess superhero-like stretching powers. Like it or not, pregnancy is going to take its toll on your body. Your stomach will stretch. Your skin will sag. And your breasts will swell beyond recognition (and then sag beyond repair). But you just grew a fully developed infant. And then, you pushed this tiny human out of you. So give your body a break, dammit. Want more insight into the less-than-glamorous world of motherhood? Check out Why This Ordinary Snap of a Mum Doing the Groceries is Going Viral.